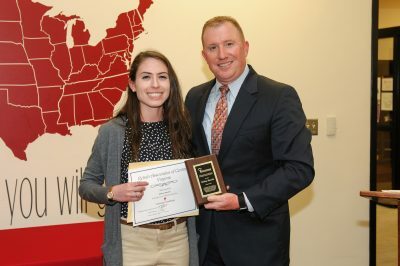 Rehab Associates of Central Virginia has awarded its annual Doctor of Physical Therapy scholarship to Melissa Bauerle ’19 DPT. 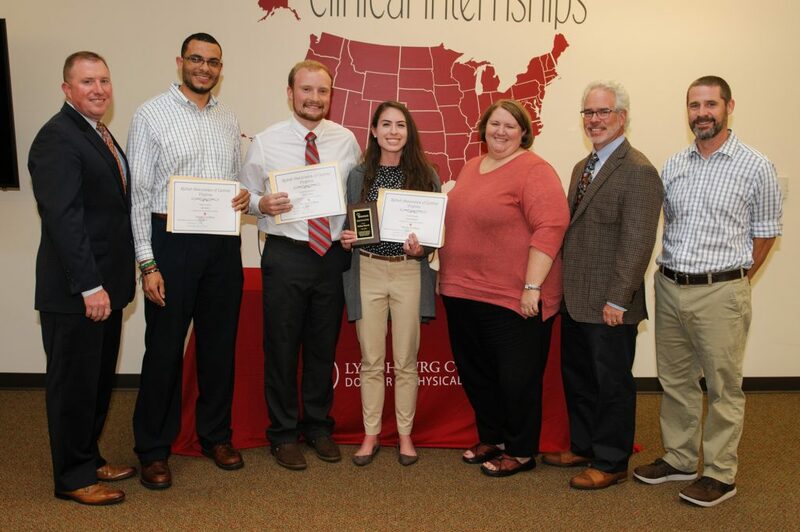 The $5,000 scholarship recognizes DPT students with a passion for orthopedics, patient-centered care, and personal development. RACV, a physical therapy clinic with several offices in the Lynchburg area, sponsors the no-strings-attached scholarship to encourage students to excel as they pursue the profession. “It is very important to facilitate student growth, whether they work with Rehab Associates or not, to foster great orthopedic physical therapy,” Dr. Josh Bailey, CEO of RACV said in a ceremony on Tuesday. She studied athletic training at Virginia Tech, where she learned about the University of Lynchburg’s DPT program. She said her goal as a physical therapist will be to help patients reach their personal goals for wellness and physical activity. Rehab Associates also awarded a second-place scholarship of $2,500 to Joshua Hartless ’19 DPT. Tyler Martin ’19 was also a finalist. Dr. Bailey said selecting the scholarship recipient has become more difficult each year. Dr. Andy Tatom, a co-founder of RACV and member of the University of Lynchburg Board of Trustees, said that is because of the DPT faculty members’ focus on developing students. DPT professor Dr. Stephen Elam said RACV’s suppport has been important to the Lynchburg program. The scholarship provides additional motivation for students to shine, and it also enables the students to consider further training that could help them help patients.